With some three decades in R&D and fabrication of hand tools, Chang Loon aggressively develops and offers innovative, patented items to meet changing market demands in addition to offering professional-grade ratchet wrenches and bolt cutters. 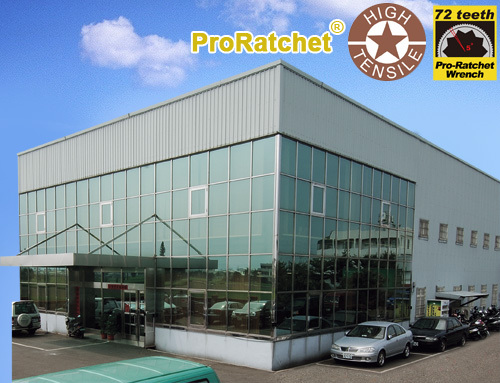 Promoted globally under ProRatchet® and High Tensile brand, the aforementioned are well designed to feature higher user-friendliness, safety and labor-efficiency than conventional models. 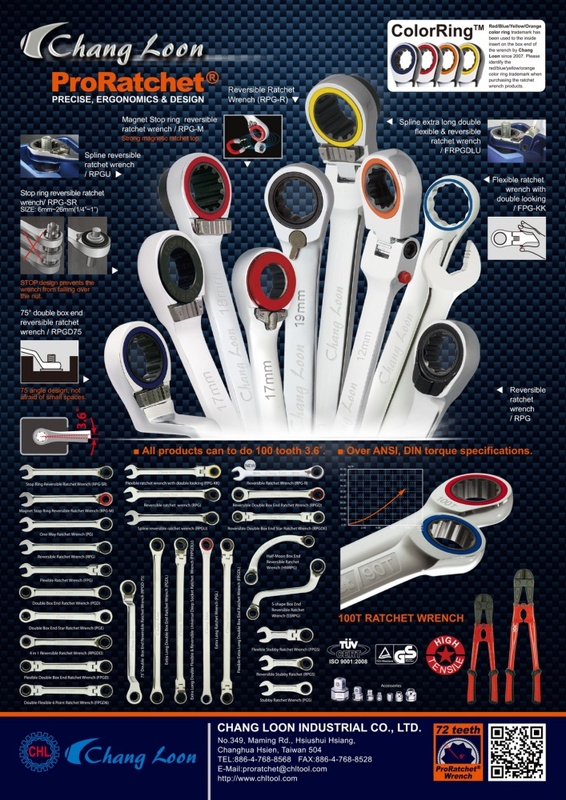 We also offer wide-ranging product lines, including professional-grade ratchet wrenches, 3-in-1 cutters and aluminum-alloy bolt cutters that are patented in Taiwan, Southeast Asia, the U.S., and Europe. Knowing that technology upgrading and going global are keys to enhancing corporate value and sustained competitiveness, our president, Chang Chung-hsing, employs the latest processing technologies and concepts from Japan and other advanced countries to develop new items with in-house R&D. Now our export markets include Southeast Asia, Central and South Americas, Canada, the U.S., and Europe. Never complacent with current success, we will continue to upgrade product quality and provide total hand-tool solutions while tapping advanced technology, and being fully accountable.